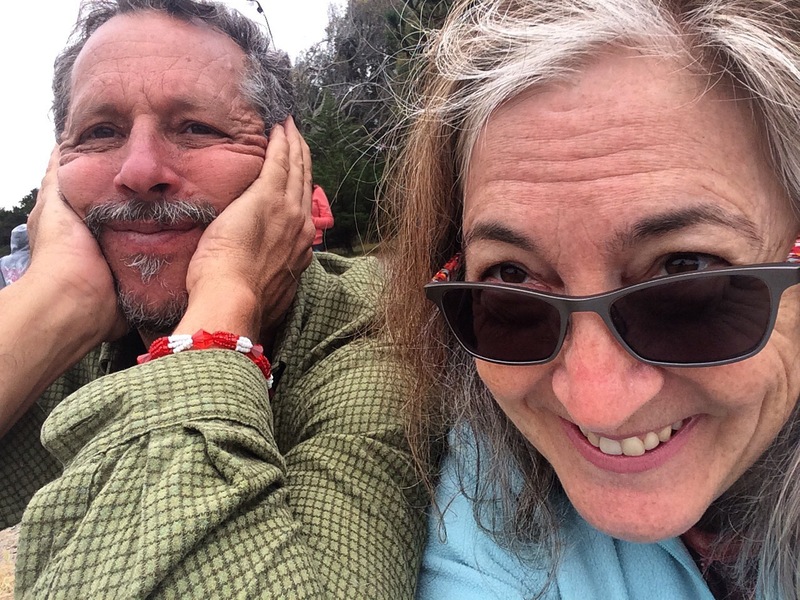 Hubby and I borrowed some bikes from friends one day during our recent visit to Manilla, California. 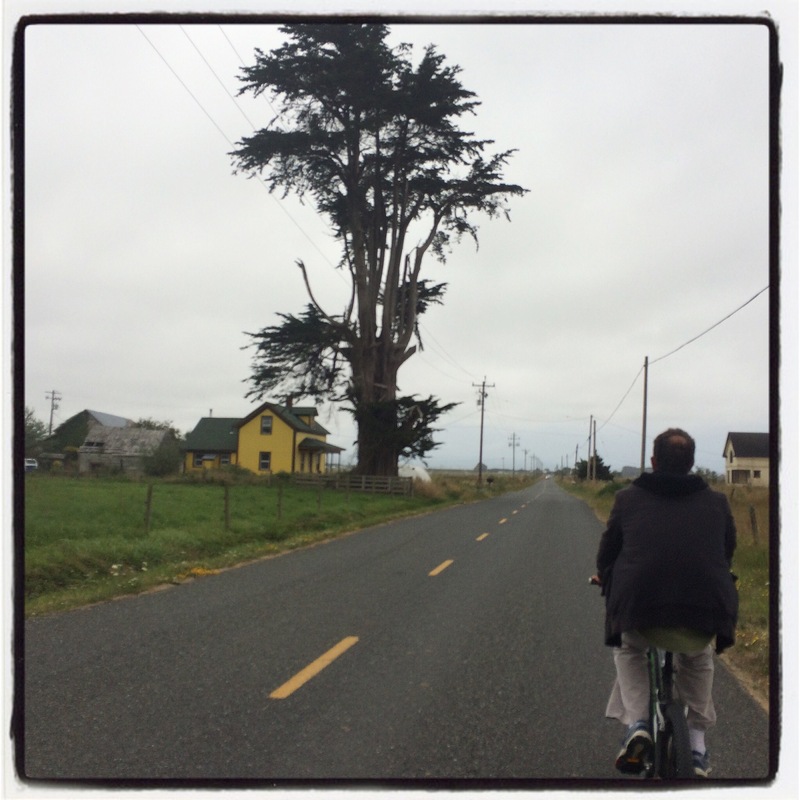 It was a delightful rural bike adventure that served as the highlight of our mini-vacation. 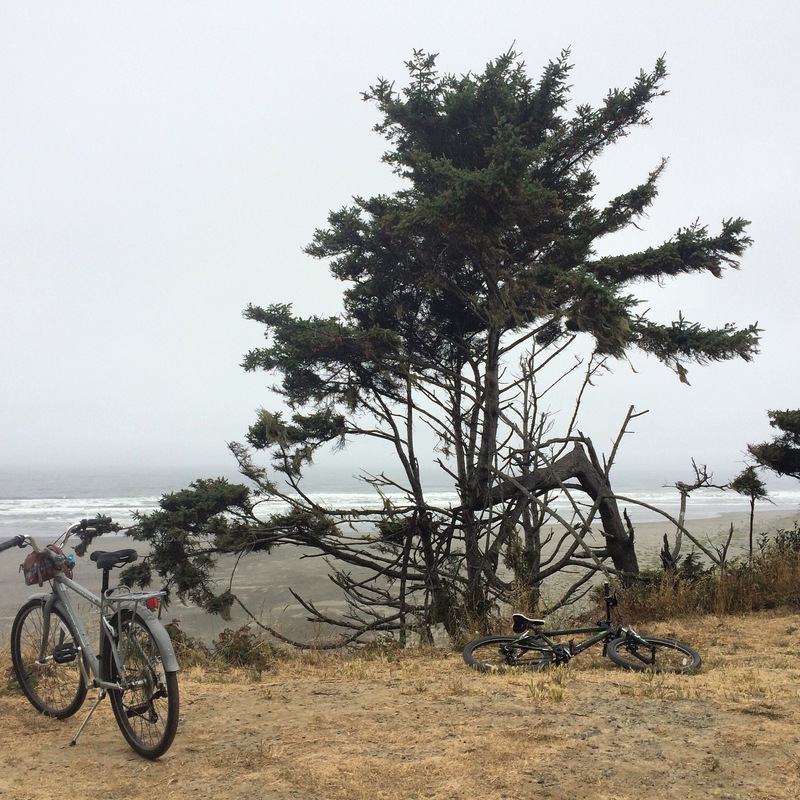 We pedaled north out of Manilla, a cute little town along the dunes between the Pacific Ocean and Arcata Bay in Humboldt County (that’s in way-northern California). 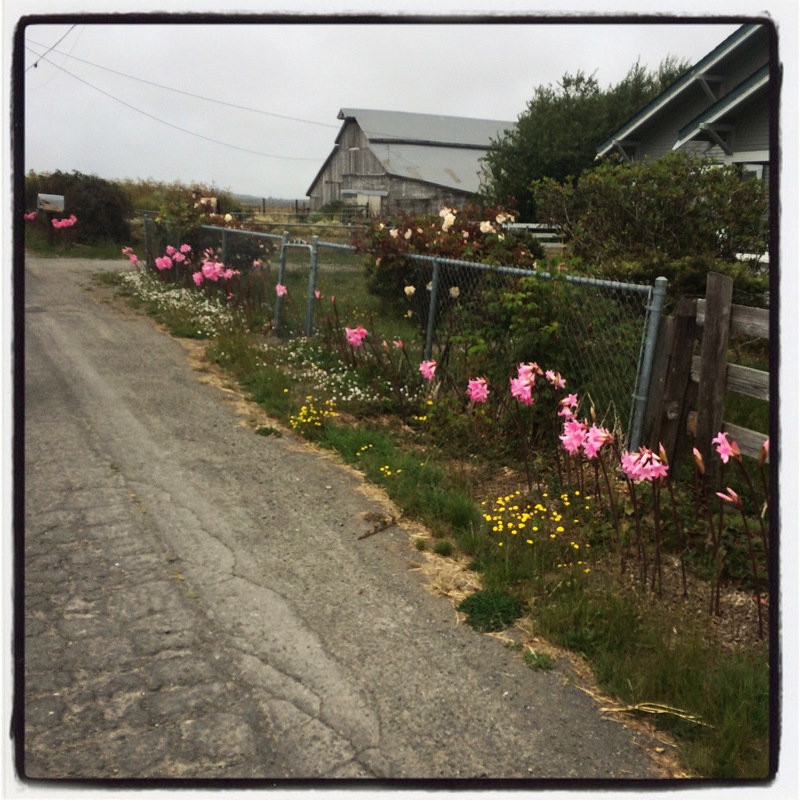 Where the main road arcs east toward Arcata, we turned left and continued north through farmland to Mad River Road. 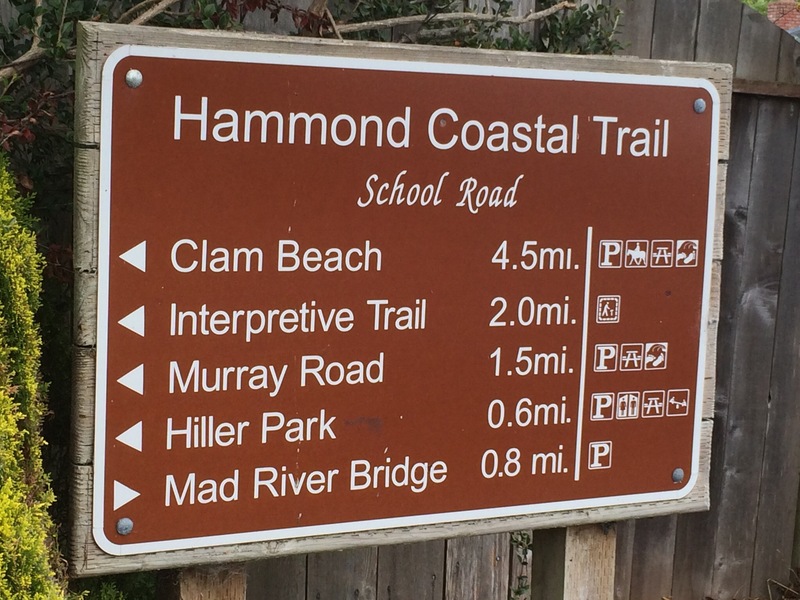 That took us to the Hammond Trail, which took us on mostly bike path more or less along the river, and then to the coast. 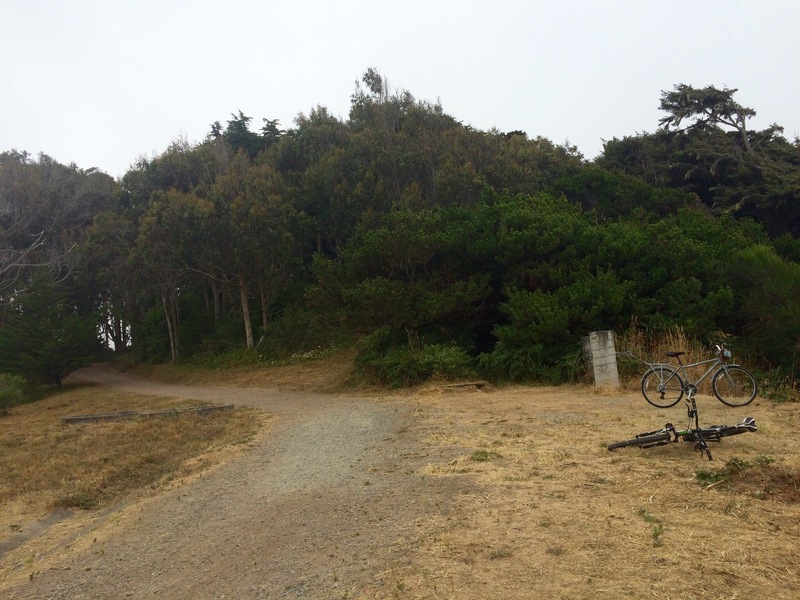 It was a very doable ride and featured great scenery. 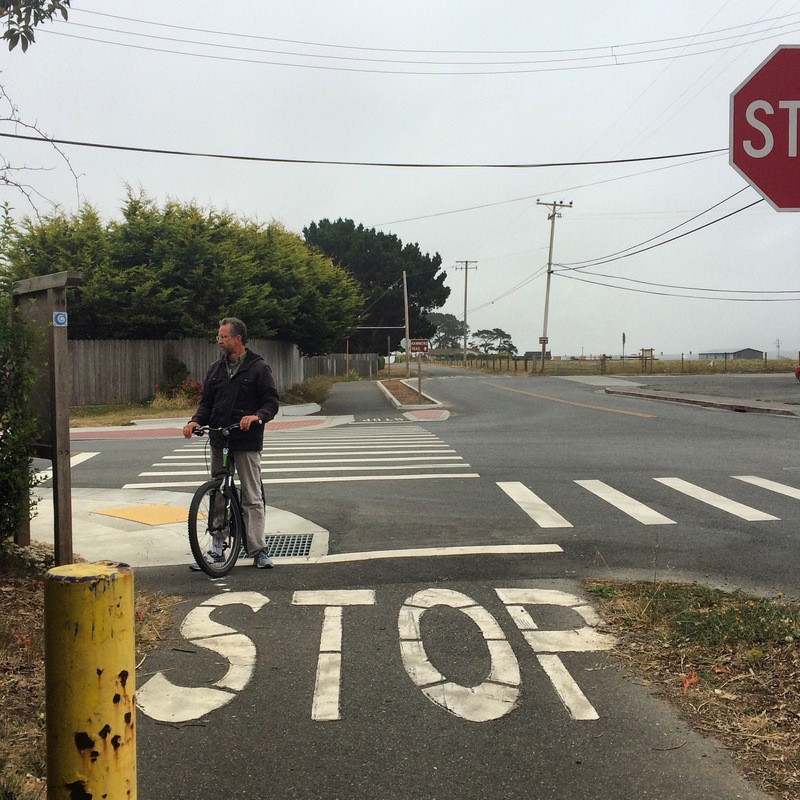 I admired the bike infrastructure in McKinleyville while Rob reviewed the route guide. Good signs helped us along the way. Down this gravel path through the trees, and to the water’s edge. A beautiful destination, Clam Beach, where we hung out for a bit before heading back. One of my favorite stretches of the trail. The trail passes through varied terrain. 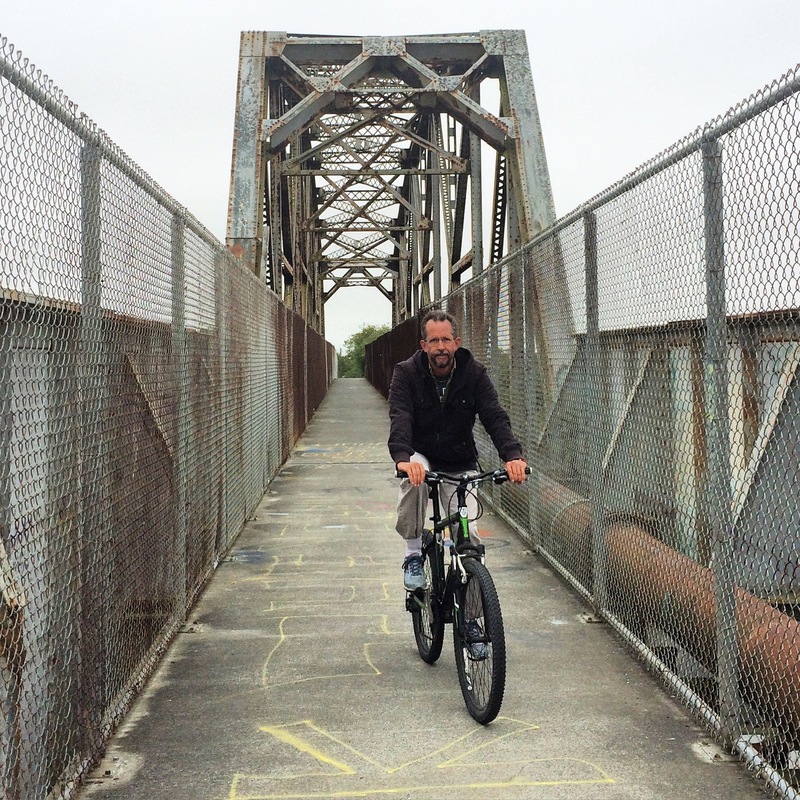 In some places, we were winding through tall evergreens, in others we were along or over the Mad River, and in some we were on a bike lane going through residential communities. 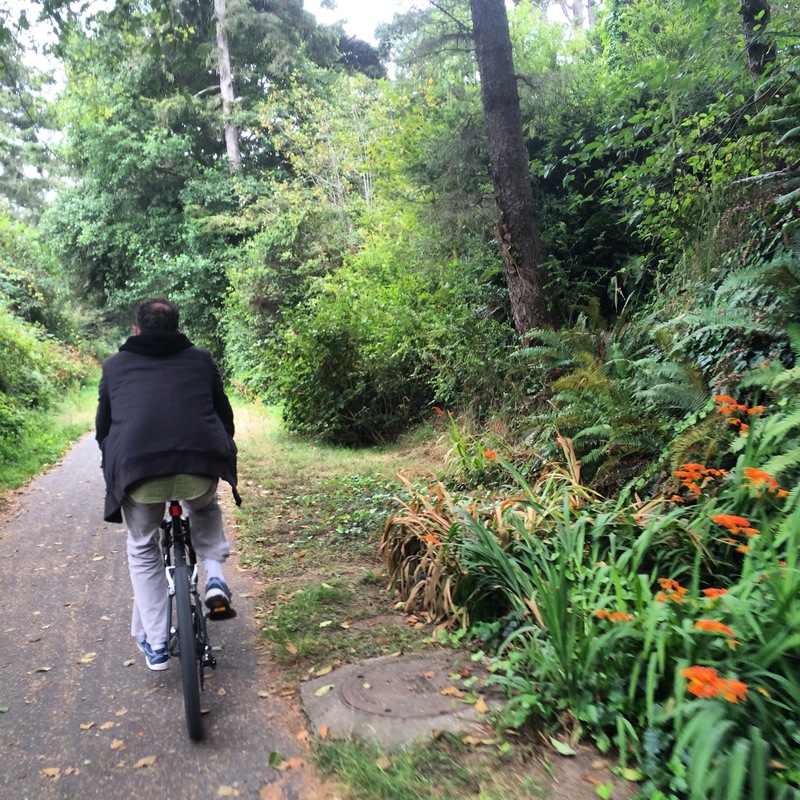 I especially enjoyed the part shown in the above photo – a variety of trees, bushes, and ferns, accented by bright orange flowers. 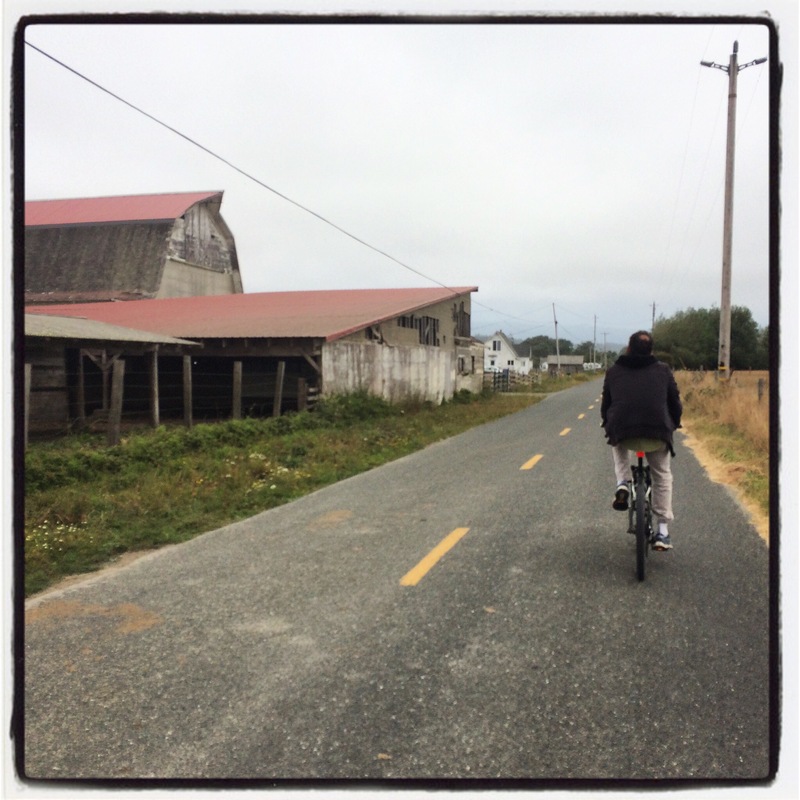 After crossing back over the Mad River Bridge, we retraced our route through the farm land. 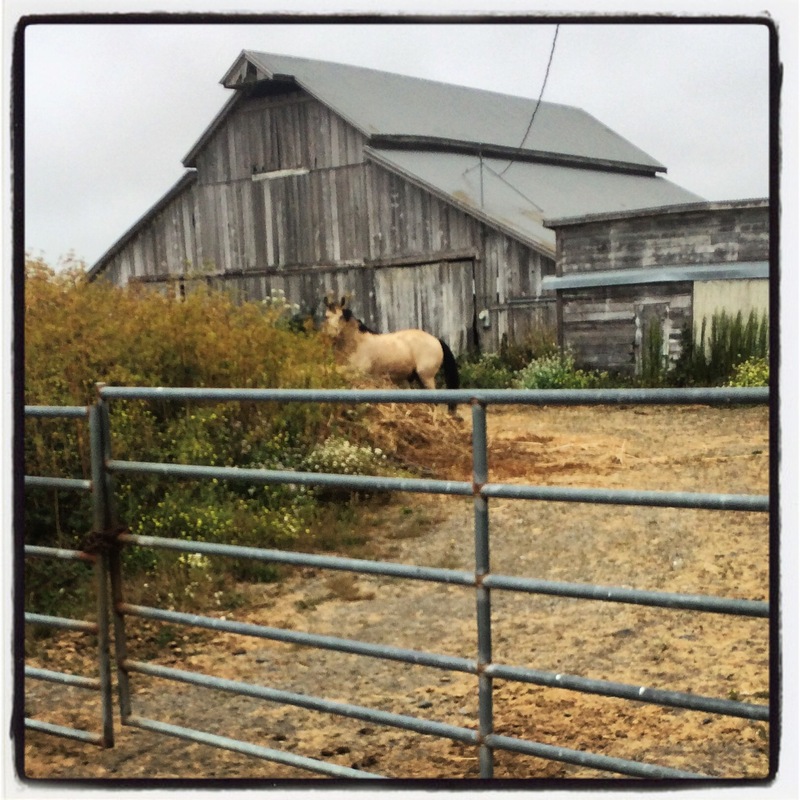 Heading back through the farms & barns. Best house & tree combo of the ride. 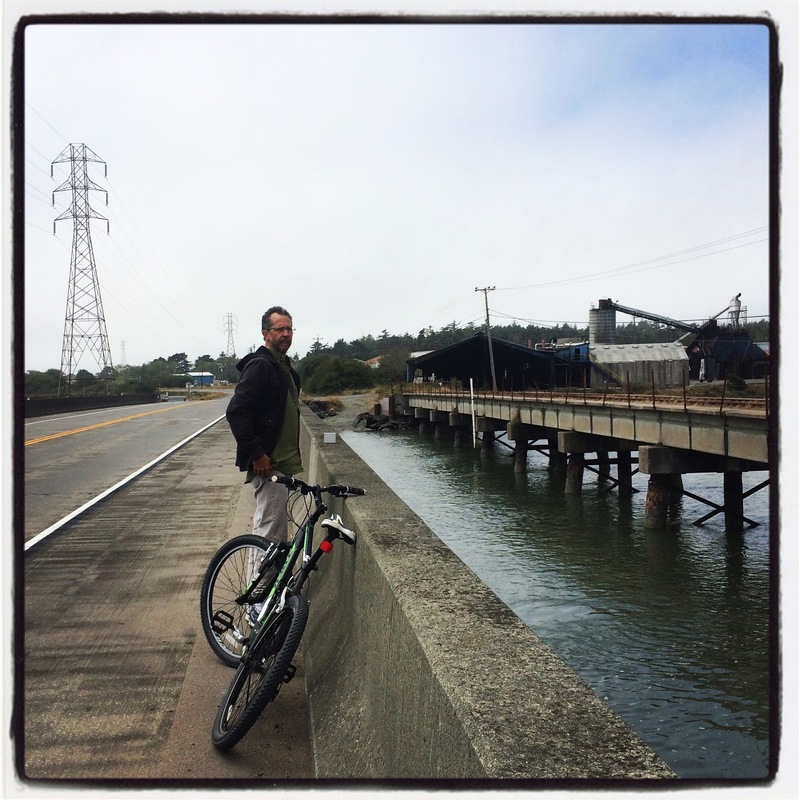 Stopping on the bridge along Arcata Bay as we head back into Manilla. 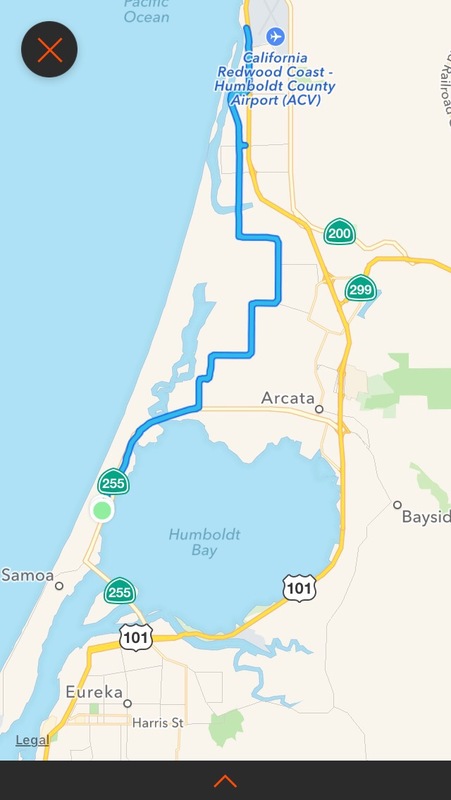 Our 26.2 mile (round trip) route.